Afghanistan will take on Pakistan for the 2nd Odi match of Super four of Asia Cup 2018 going to be be played on 21 september 2018, Friday at Sheikh Zayed Stadium, Abu Dhabi. 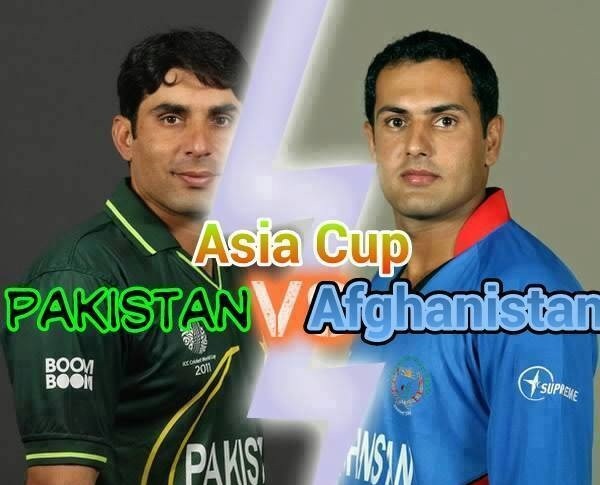 Afghanistan Vs Pakistan 2nd Odi Dream11 prediction Asia Cup 2018 is given in this post with all key stats. *M Shahzad, Inshanullah, Rahmat Shah, Asghar Afghan, H Shahidi and S Shenwari will be the key batsmen. *M Nabi and G Naib will play the role of all-rounder for team. *Rashid Khan will lead the spin attack along with Mujeeb and Nabi. This trio can be lethal on pitches assisting spin. *Aftab Alam will lead the pace attack along with G Naib. *Shaheen Afridi or Junaid Khan can come in for wicketless M Amir. He isn’t able to pick wickets. *Shadab Khan had some fitness issue in last match. We will update on his availability as early as possible. *Mohammad Nawaz will come if he is not fit. *F Zaman, I Ul Haq, Babar Azam, S Malik, Asif Ali and S Ahmed will be the key batsmen. *F Zaman and I Ul Haq are in brilliant form top of the order. *Shadab Khan (if fit) and F Ashraf will do the late hitting for team. *Hassan Ali, Faheem Ashraf, Usman Khan and one of M Amir/Shaheen/Junaid Khan will lead the pace attack. *Shadab Khan (if fit) will be the main spinner along with Fakhar Zaman and Shoaib Malik. AFGH: M Shahzad (wk), Ihsanullah Janat, Rahmat Shah, H Shahidi, A Afghan (c), M Nabi, S Shenwari, G Naib, Rashid Khan, A Alam, Mujeeb Ur Rahman. PAK: Imam-ul-Haq, Fakhar Zaman, Babar Azam, Shoaib Malik, Asif Ali, Sarfraz Ahmed (c & wk), Shadab Khan/M Nawaz, Faheem Ashraf, Hasan Ali, Mohammad Amir/Shaheen/Junaid Khan, Usman Khan. *I will play with Risky team as Sadab is having some fitness issue but as reported he is likely to play. *You can keep this team in multiple entry leagues. *Keep your own C & Vc.